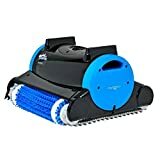 How to select the right In-ground Pool Vacuum? There are many types of cleaners for your pool but the one that is mostly used is the in-ground pool vacuum because it is fast, efficient, and gets the job done thoroughly. It is also a cost-effective option; once you see what the market offers, you can get vacuums that go below the normal $100 price range that still works perfectly fine. Of course, the automatic ones will cost you more than the manual ones. Either way, these are aimed at providing you a clean, algae-free pool. Why should you invest so much time and money with cleaning your pool? Surely, you didn’t construct a swimming pool worth not less than $20,000 only to function as a breeding ground for bacteria and dirt? Therefore, you must maintain it to work and look at its finest. An expensive investment should be equally treated with high maintenance. Purchasing a vacuum to clean your pool may only cost a fraction of what you could be spending for repairs and removal of stains after not properly looking out for it. Because of the surge of cleaning types in the market, you could be overwhelmed with the right one to buy. To help you decide, we have rounded up the types and factors that you should consider when selecting your in-ground pool vacuum. What are the most popular types of in-ground pool vacuums? Comes included with (1) reusable X-Treme Multilayer Filter to pick up large and fine debris! 2. Suction Driven – The cleaner or the vacuum is connected to the suction line of your pool’s filtration system. Meaning, all debris and dirt gathered by the suction cleaner will go straight to the filter. This is good to use if dirt and debris are minimal and doesn’t give too much effort for the filter to clean. Even though the machine itself costs less, using it consumes more electricity. 3. Pressure Driven – This works by having pressure coming from a booster pump or the pool pump. As the cleaner moves, the pressure lifts the dirt and it goes directly to the filter bag that comes with the cleaner. It is ideal for pools that have a large amount of debris. What are the factors to consider when buying an in-ground pool vacuum? Size of the pool – If you have a big sized pool; naturally you would need an in-ground pool vacuum that can work and function on its own. 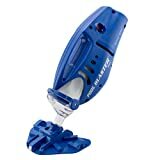 You’ll have a difficult time scrubbing the walls and the floors using a manual vacuum. Robotic type vacuums or the other automatic types are able to clean a regular sized swimming pool in just three hours – that includes all walls and floors including the debris in the water. Buying automatic ones will make you shed out more cash but in the long run; it saves you time and energy. Cost – As mentioned before, the bigger, and automatic ones cost more. The cheapest alternative is the manual in-ground pool vacuum that costs between $100 and $200. This is recommended only if you have a small pool and you have more time to spare to clean it. The most expensive type is the robotic type cleaner which can cost somewhere around $600 to $1,500. The mid-priced vacuums are the Pressure and Suction side vacuums which are priced at around $300 to $500. Determine your budget and your needs before your purchase your in-ground pool vacuum. Dependency on Filtration System – Some cleaners require the help of your pool’s existing filtration and pump system. The Suction Side Cleaner will spew debris and dirt onto your filtration system while a Pressure Side Cleaner comes with its own filter bag. If you don’t want to put additional pressure to your filtration system, get ones that have in-built filters like the Pressure Side and Robotic cleaner. Energy Consumption – Some cleaners run on its own battery, some uses solar power, while the others run using electricity. Among all cleaners, the one that consumes the most power may be the Pressure Side Cleaner because it requires the use of a separate booster pump to efficiently clean. The one that will give you power savings is without a doubt, a solar-paneled cleaner. However, most solar-paneled cleaners can only clean the surface of the pool and won’t be able to scrub walls and the pool floor. Ease of use – The most efficient to use among all types is the robotic cleaner because you can leave it to scrub and clean on its own. In about three hours, you’ll have a sparkly clean pool. Even the dirt and debris in the water will be vacuumed in. To use a robotic cleaner, all you have to do is lower it into the water and switch it on. Debris Load – Is the volume of the debris load low or high? If your vacuum is going to scoop up a lot of big debris such as leaves, twigs, and acorns, you need a bigger one that can handle more loads. If your pool is small with minimal dirt and debris, you don’t need a high-performing one because it will just consume unnecessary energy. Make sure that you have thoroughly read and understood each of the factors that may affect your decision when buying your in-ground pool vacuum. This is to ensure that you are getting the right one to avoid returns and inefficiencies. Remember, the bigger the pool and the larger the debris, the more it will cost you for maintenance and cleaning.